We have received the go ahead to break this news from none other than the Dark Master himself and we are pleased to do so. In addition to all of the Free RPG Day swag heading to stores to be given out, you may have noticed a really slick looking piece of swag heading to your FLGS. 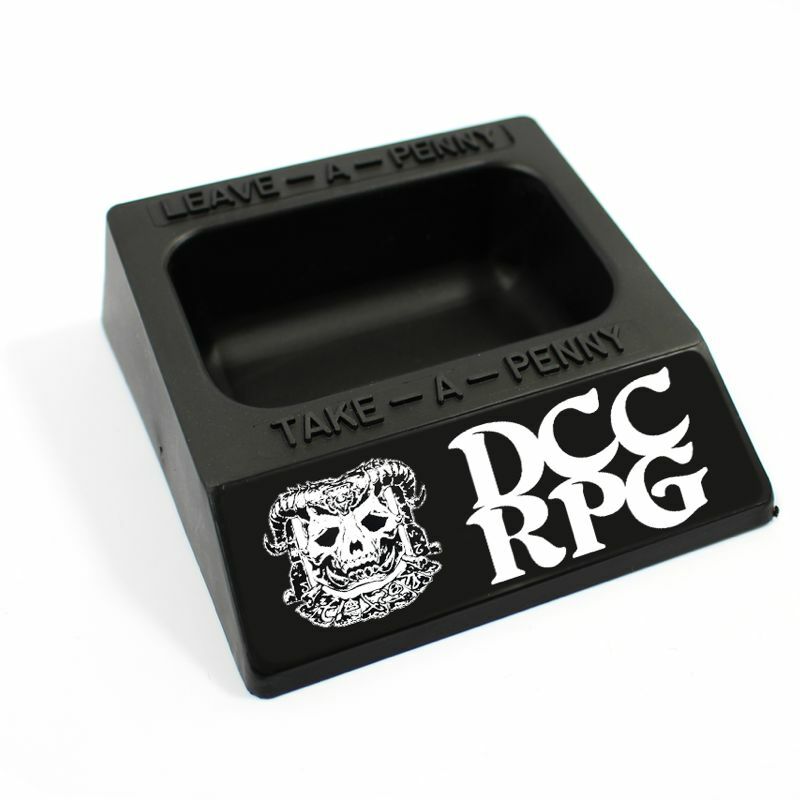 We are speaking of course, of the already much coveted DCC Take-a-Penny tray. Well, in addition to the trays being sent to retailers, Judges running games for Free RPG Day also qualify to order them as part of their Road Crew swag! Now, this isn’t live in the Goodman Games online store yet, so you still need to wait for that announcement prior to ordering. Supplies are limited (we are rapidly closing in on 100 Judges for Free RPG Day) so once it goes live, don’t delay. In OTHER Free RPG Day swag news, Sanctum Secorum is assembling out second annual Free RPG Day Companion for Judges to print and hand out. This year, rather than a compilation from prior issues we are putting together a 3rd party sampler with material from Crawl-thulhu, Dark Trails, Umerica, Skull & Crossbones Classics, Hubris and more! Our profound thanks go to all of those publishers who have contributed (and still are) to this project to make something really cool for you, the community. Heck, some of this material hasn’t even seen print elsewhere! The DCC community, doing Free RPG Day right! Free RPG Day is fast approaching. Have you made your plans yet? Click the logo above and be taken to our list of venues hosting DCC and other Goodman Games sessions. Be ready to get your game on! These folks have been looking for a Judge since MARCH! We would be happy to host but we do not currently have an instore volunteer who is versed in DCC. If you are in the area and are looking for something to do on free RPG Day….lend them a hand. It is there FIRST year supporting Free RPG Day and we certainly want them to do it again! News: Venue Seeking Free RPG Day Judges in Lima, OH. “ We don’t currently have anyone running them (DCC/MCC). If you know someone who would like to volunteer to run one or both, email josh (email provided in store link).